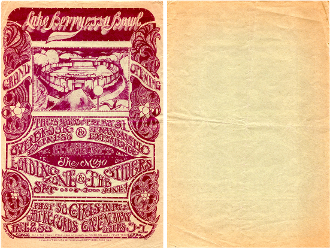 This is an original flyer to the opening of the Lake Berryessa Bowl. It measures 7.25x11 (inches) and is a one color (maroon on thin beige paper stock.) You can see where it was folded.